LOS ANGELES – February 5, 2019 – In celebration of Black History Month, SHOWTIME will premiere TEDDY PENDERGRASS: IF YOU DON'T KNOW ME, exploring the rise of legendary soul singer Teddy Pendergrass, the first male African American artist to record five consecutive platinum albums. Set against the backdrop of 1960s America, and his comeback after a life-changing accident, Pendergrass’ untold and ultimately inspiring story premieres this Friday, February 8 at 9 p.m. ET/PT. Capturing Pendergrass’ rise to fame the film includes rarely before seen archival footage and features revealing interviews with his family, friends and colleagues alongside industry legends, Kenny Gamble and Leon Huff. To watch and share a clip from TEDDY PENDERGRASS: IF YOU DON'T KNOW ME, go to: https://youtu.be/BQQHO9w7Giw. 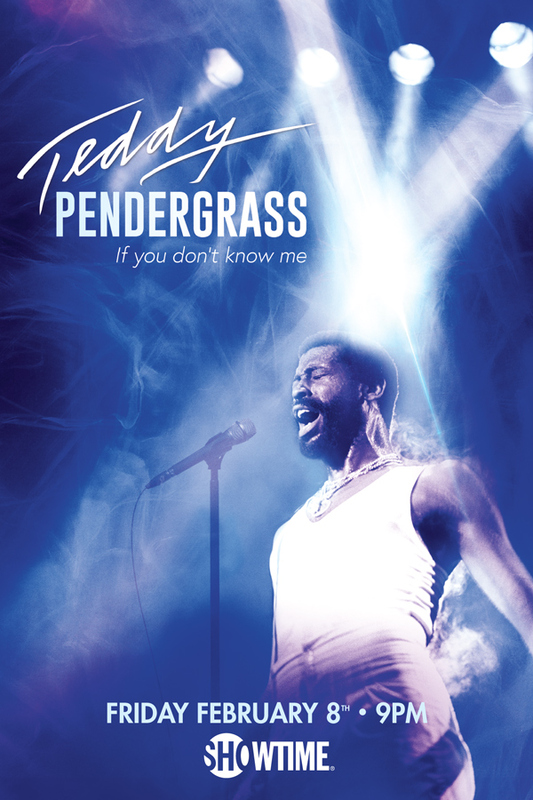 TEDDY PENDERGRASS: IF YOU DON'T KNOW ME is a BBC Films, Wasted Talent, Storyvault Films and Tempo Entertainment production. The film is directed by Olivia Lichtenstein and executive produced by Shep Gordon, Daniel Markus, Allan Strahl, Michael Saunders, Katherine Saunders, Jo Bamford, Joe Oppenheimer and Michael Wood. Lichtenstein, Piers Tempest and Ian Flooks serve as producers.